How to remove CSS protection on Mac? Content Scramble System (CSS) is a Digital Rights Management (DRM) scheme used on almost all commercially produced DVD-Video discs. 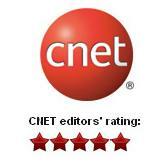 It utilizes a proprietary 40-bit stream cipher algorithm. The system was introduced around 1996 and has subsequently been compromised. The CSS key sets are licensed by the DVD Copy Control Association to manufacturers who incorporate them into products such as DVD movie releases, drives & players. Most DVD players are equipped with a CSS Decryption module. CSS key is a collective term for authentication key, disc keys, player keys, title keys, secured disk key set, and/or encrypted title keys. The purpose of CSS is two fold. First and foremost, it prevents byte-for-byte copies of an MPEG stream from being playable since such copies will not include the keys that are hidden on the lead-in area of the restricted DVD disk. Second, it provides a reason for manufacturers to make compliant devices, since CSS scrambled disks will not play on noncompliant devices. Anyone wishing to build compliant devices must obtain a license, which contains the requirement that the rest of the DRM system be implemented. DVDSmith Movie Backup for Mac is a free and powerful "DVD Region + CSS Free" utility for backup DVDs to Mac for personal usage. It smartly removes CSS encrypted content form dvd and copy/backup DVD to hard disk. You needn't hack DVD Rom or DVD-R/DVD+RW(flash firmware) which is very dangerous. Except CSS Encryption, there are many other kinds of DRM, such as Apple FairPlay. iTunes downloaded movies, TV shows, and music videos are strictly protected by FairPlay. Apple FairPlay DRM limits iTunes videos from playing on other non-Apple devices, which brings much inconvenience to iTunes users. Fortunately, there comes Noteburner M4V Converter Plus for rescue. Noteburner M4V Converter Plus (For Winodws / For Mac) is the best iTunes DRM Removal Software for both Windows & Mac users, which can help them to remove the DRM protection from iTunes M4V rentals and purchases to MP4, MOV, AVI, FLV etc formats for playing on TV, game consoles, Android phones/tablets, HD media players and other portable devices. You may have bought lots of favorite DVD movies from your local stores, flea markets, or even online stores, such as eBay and amazon, and you would like to play them on any computers and DVD players. Unfortunely, these DVDs are either CSS encrytped or region codes locked. Insert the DVD disc you want to backup in the DVD-ROM of your Mac, and then you should wait a second for Mac reading the data of the disc. There are two backup modes for you to choose. Full Disc: This will backup all contents from the DVD, including main movie, bonus features, and maybe some other extra video clips. Main Movie: This will only backup the main movie from the DVD, excluding bonus features or other extra video clips. Input Device: select correct DVD device from Input Device dropdown menu. Output Folder: choose a place that has enough space to store output file. when Normal copy method is used, the program will focus on scanning the main movie title in a DVD. If there is bad cell in the main movie title, a prompt window will come up asking you to choose Enhanced copy method. when Enhanced copy method is used, the program will try to read out as much titles as it can be detected in a DVD, and it will then copy all detected titles. Particularly, the program is able to identify the main movie during the scanning process, and skip all bad cells during copying process. 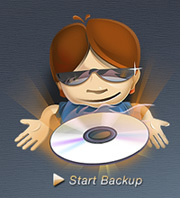 It's recommended to use the Enhanced Copy Method to backup the most recent DVD movies like G.I. Joe, especially for Disney DVD movies. When setting finished, click Start Backup button to get it copied on your Mac.